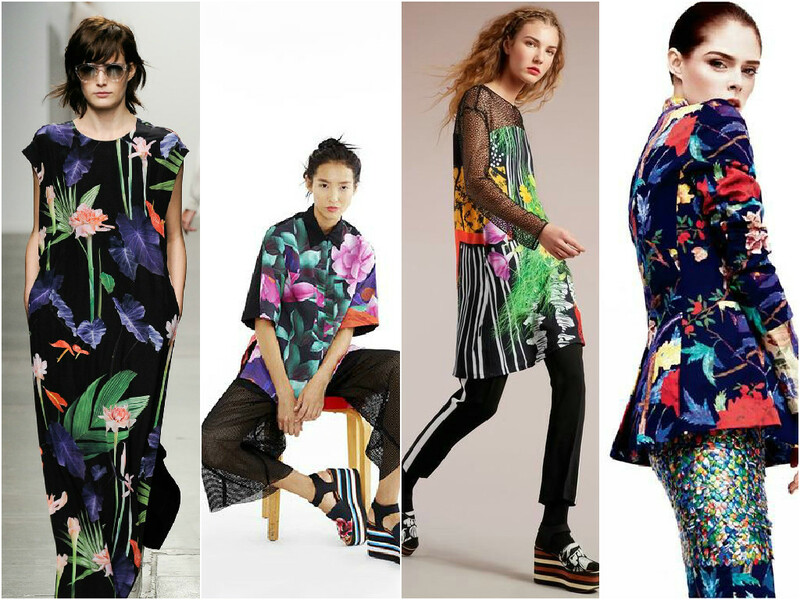 Take one quick flick through the latest fashion mags and gorgeous prints are everywhere. 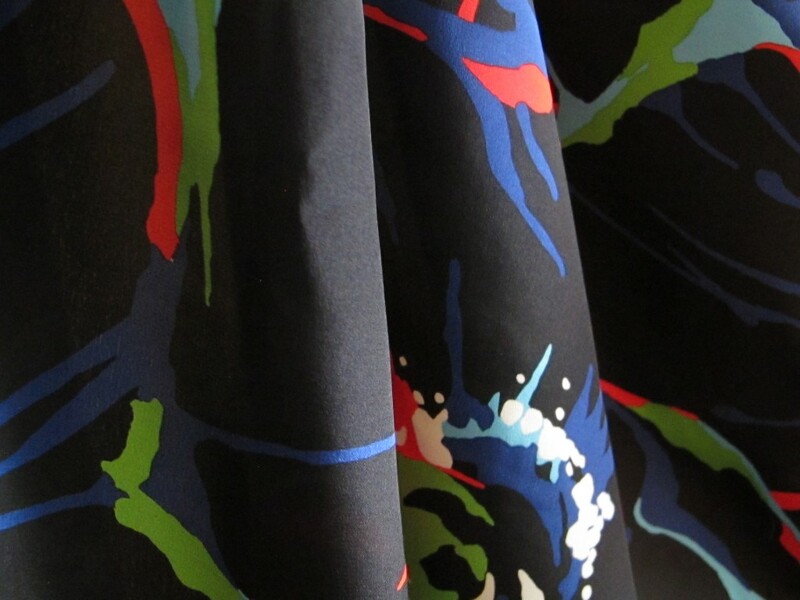 This silk is the best of both worlds…a versatile black background with splashes of colour, as if you’ve walked out of an artist’s studio…or a paintball game? 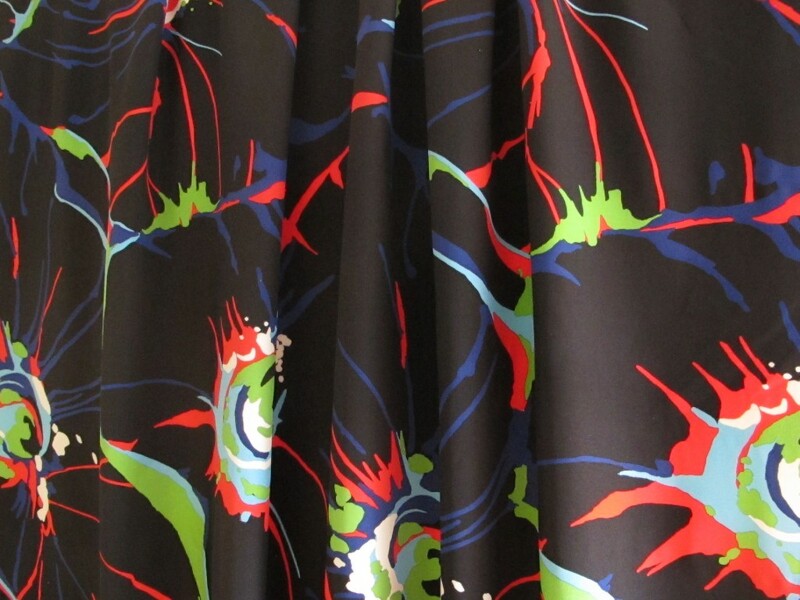 This silk crepe de chine is a lovely quality (always! ), a decent weight, not too thin like many CDC’s these days. It is soft, smooth and drapey. Bright primary colours of leaf green, Chinese red, cadet blue, cobalt and cream splash over the surface. Such lovely malleable silk asks to have a bit of volume cut into it I think, maybe some gathers, or asymmetrical features? 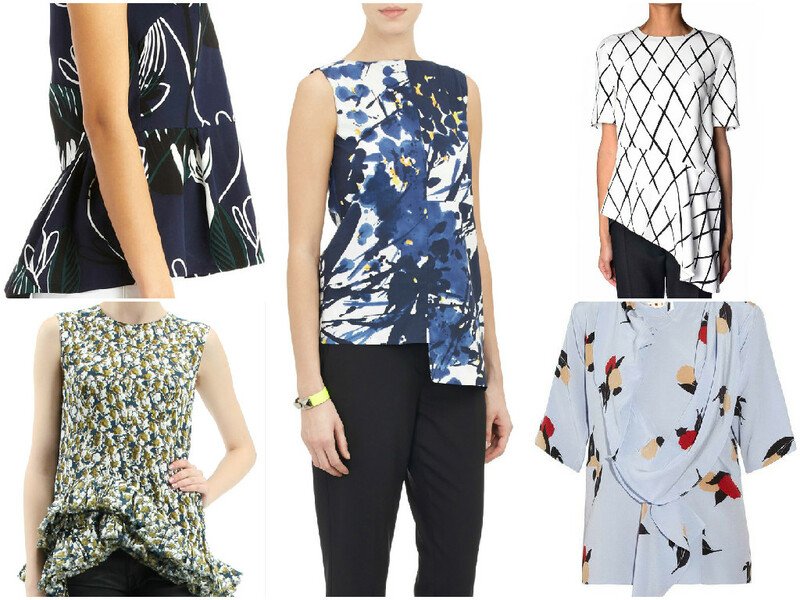 (Look no further than Marni time and again). 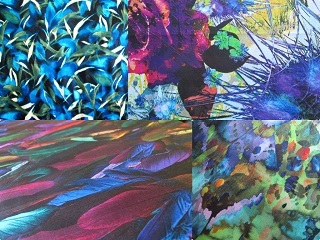 This silk is 120cm wide and the length is 1.6 metres. Not a huge amount but enough to cut a top, shirt, simple dress, skirt, even shorts or loose pants. So tons of options. 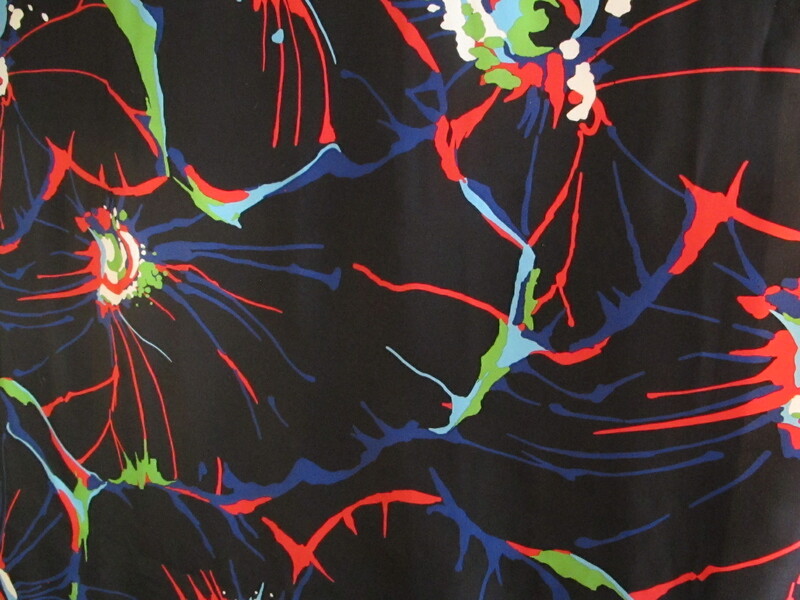 The price is $24 a metre/$38 for the piece. This fabric can be sent in a small satchel for $8.25. Please see here for full details on payment and posting. If interested, please click on the email link below; fabric details will appear automatically and I will get back to you asap. (Australia delivery only thanks).